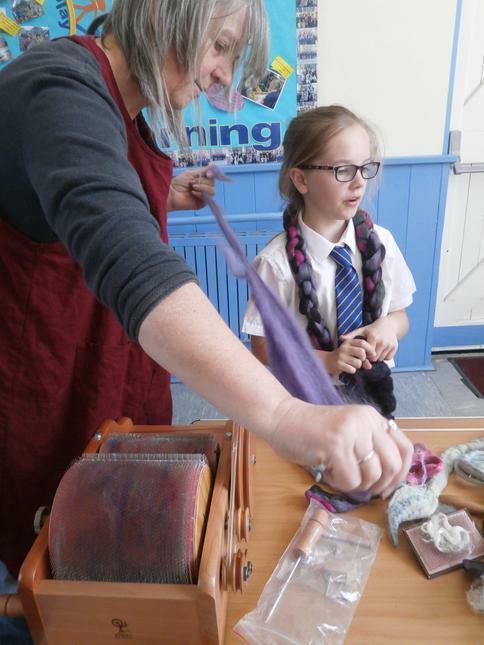 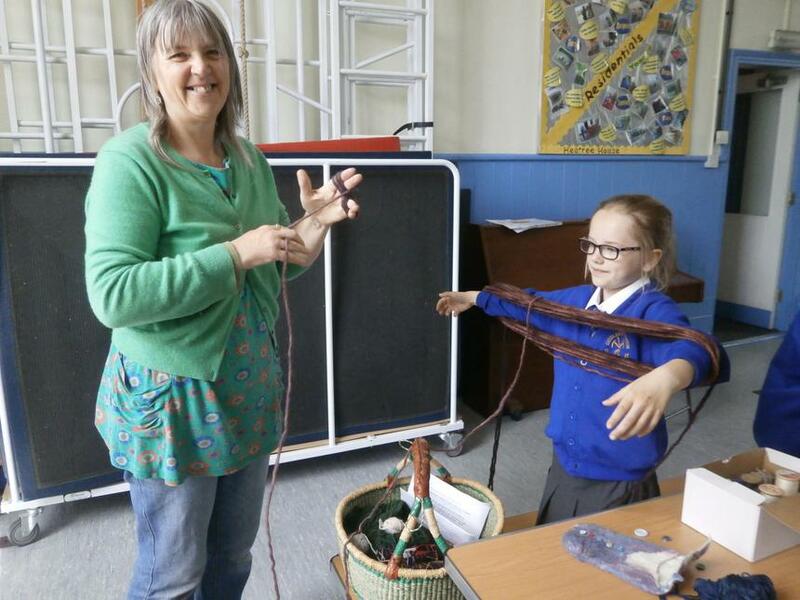 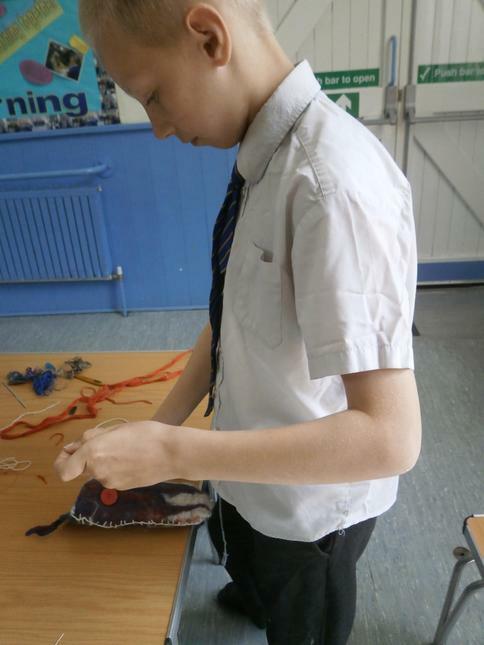 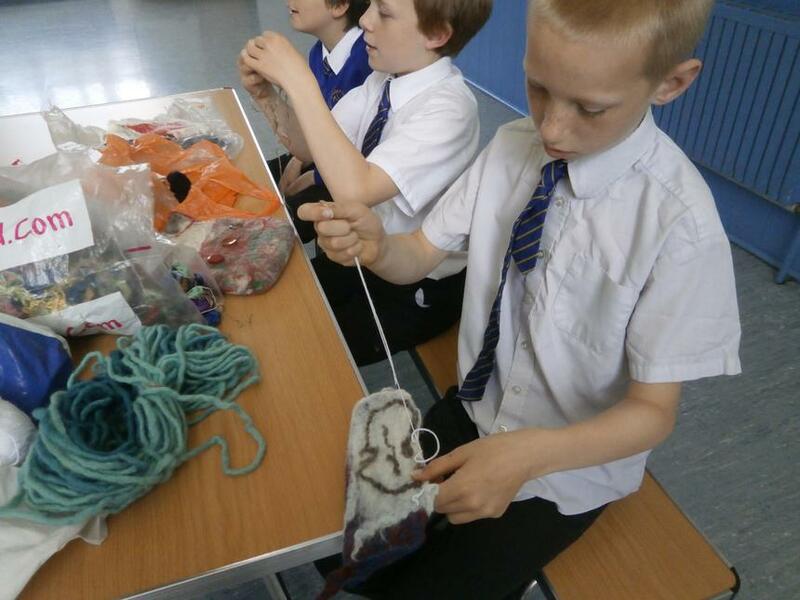 Terri Bate, is a local spinner and knitter who has previously visited the school during our Learning Exchange. 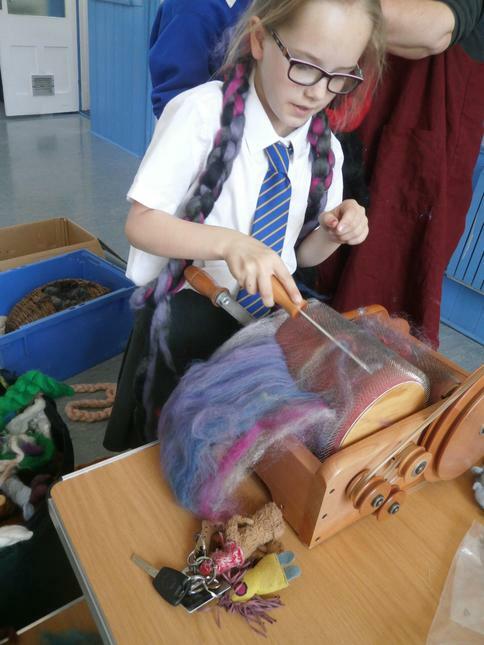 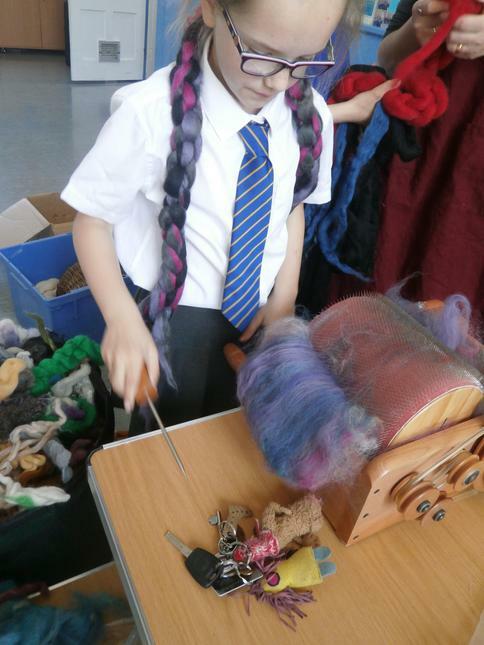 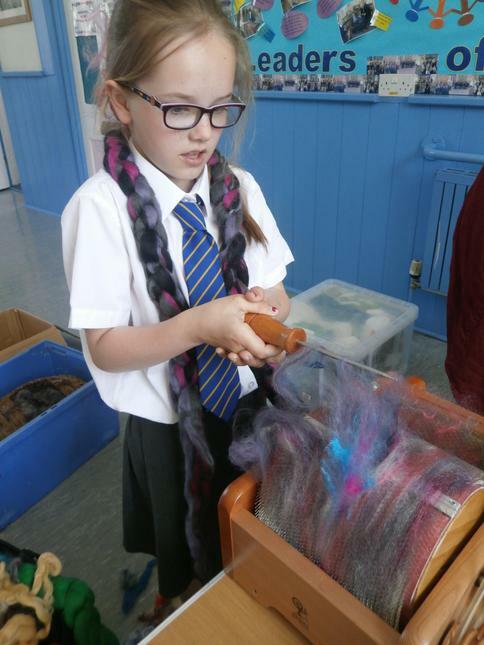 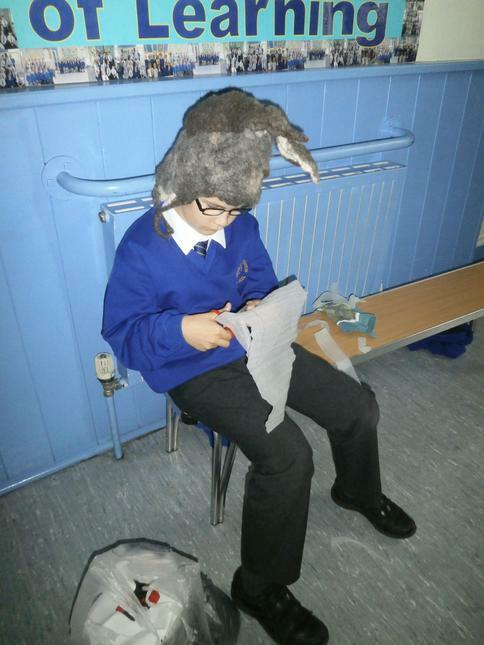 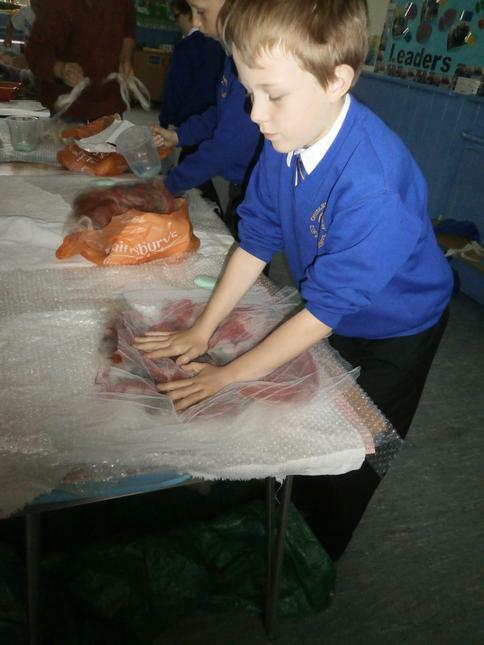 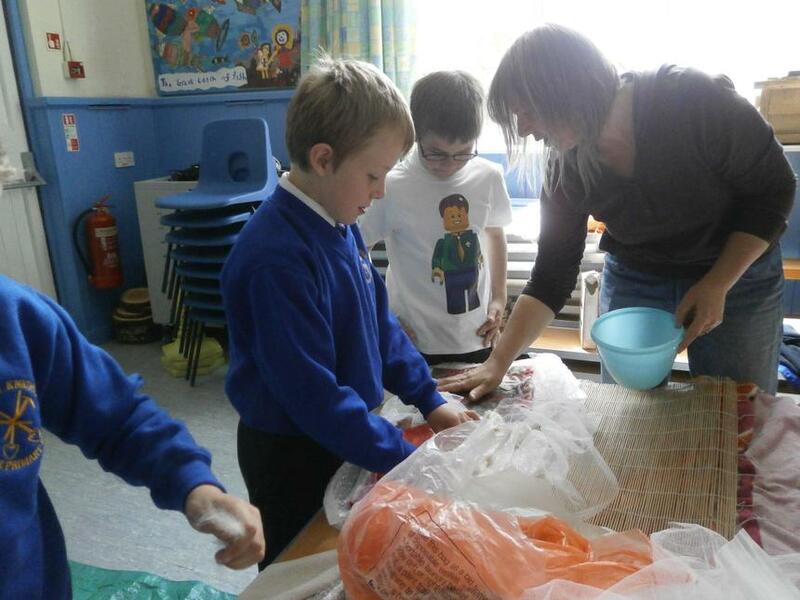 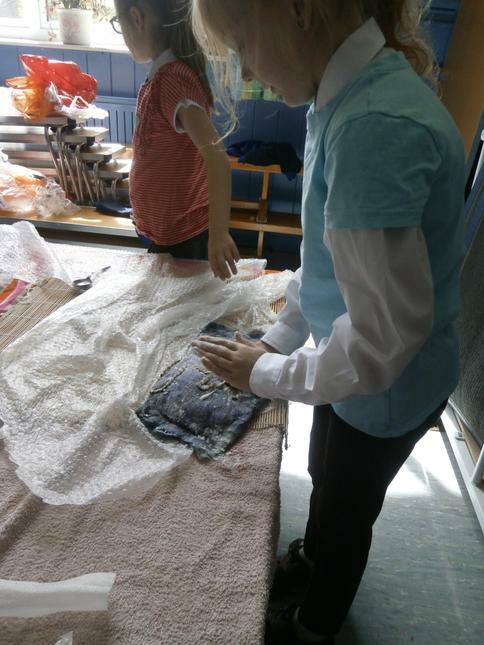 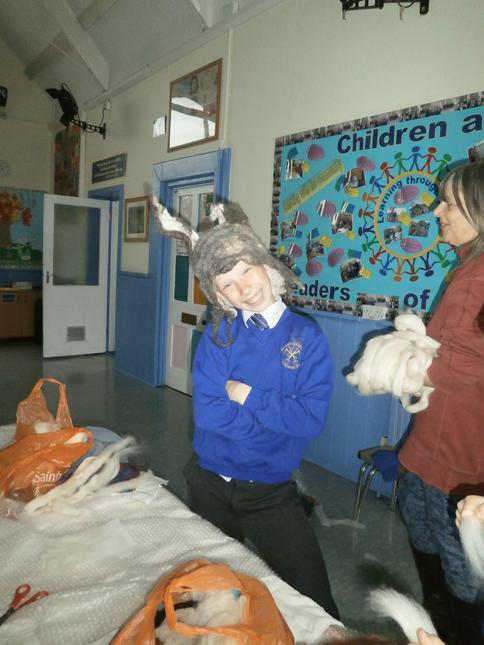 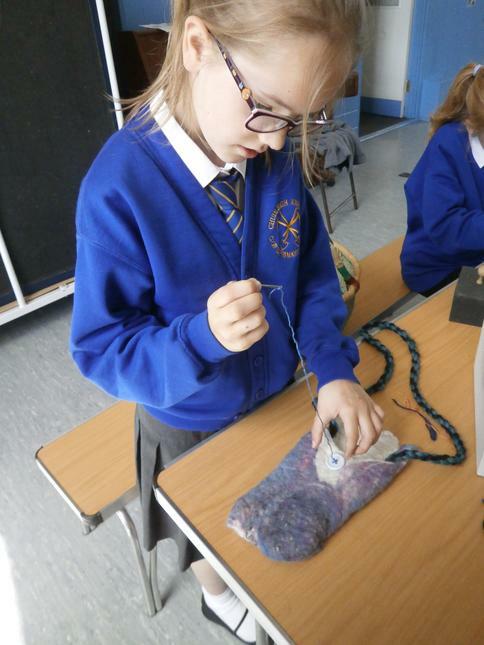 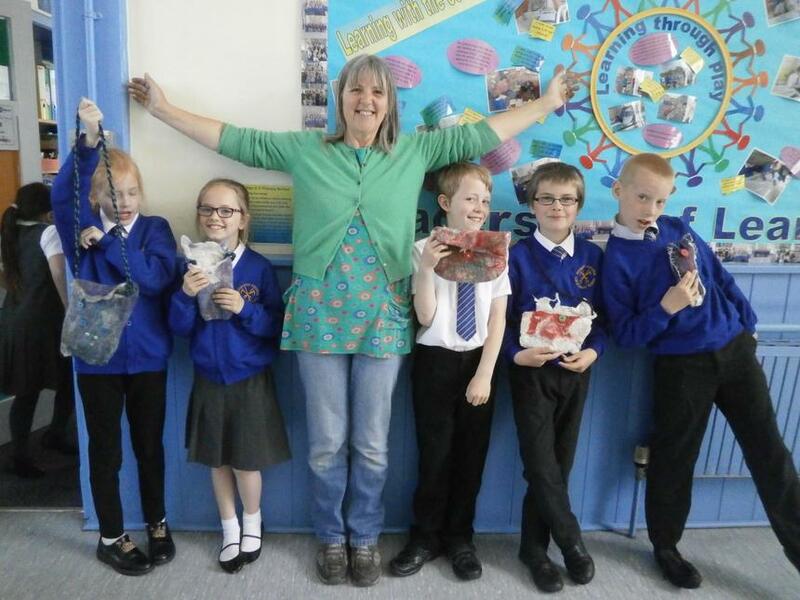 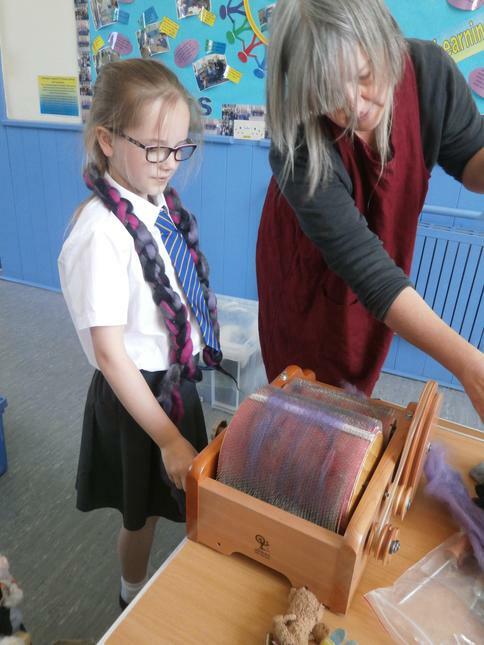 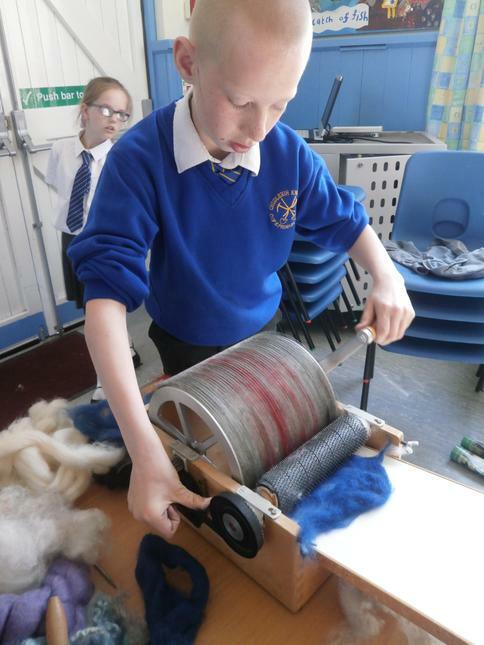 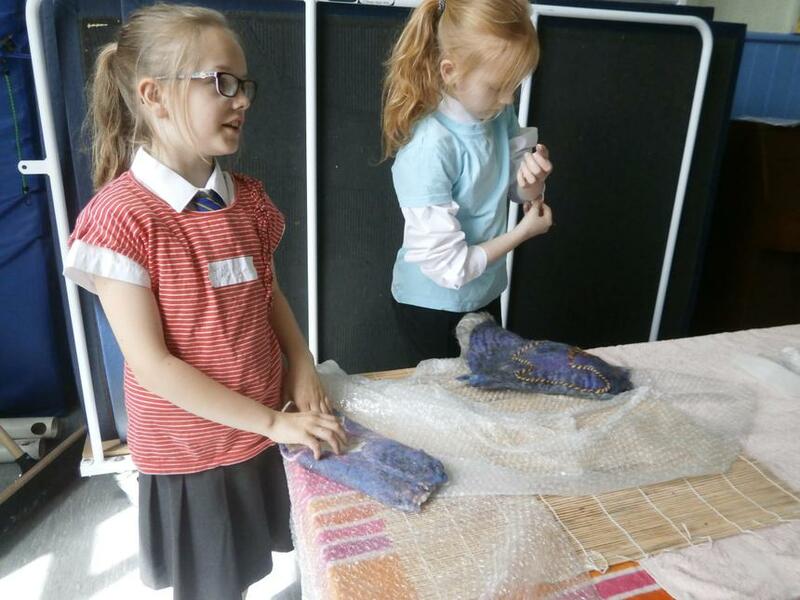 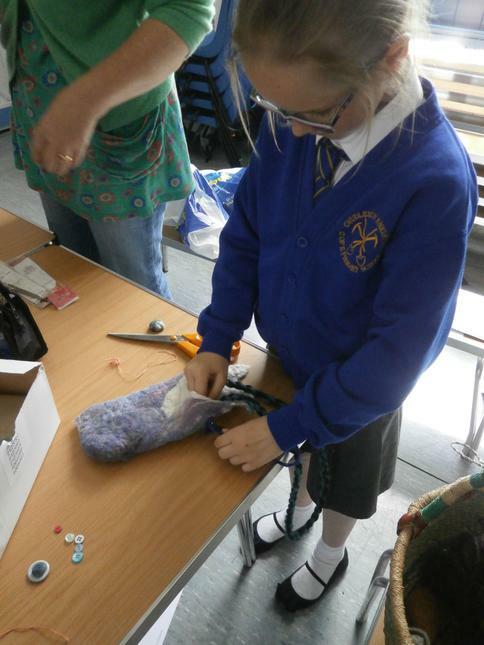 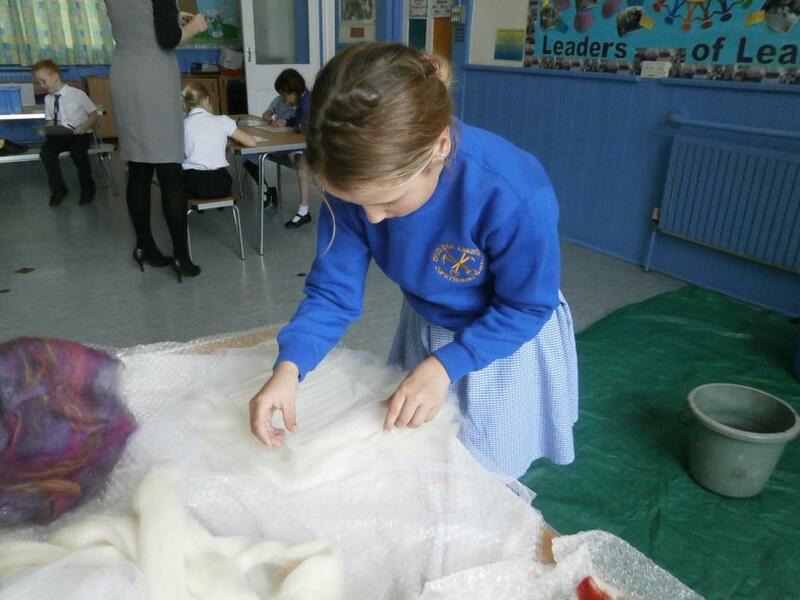 This apprenticeship scheme is giving a group of children the opportunity to work with wool from fleece to finished product. 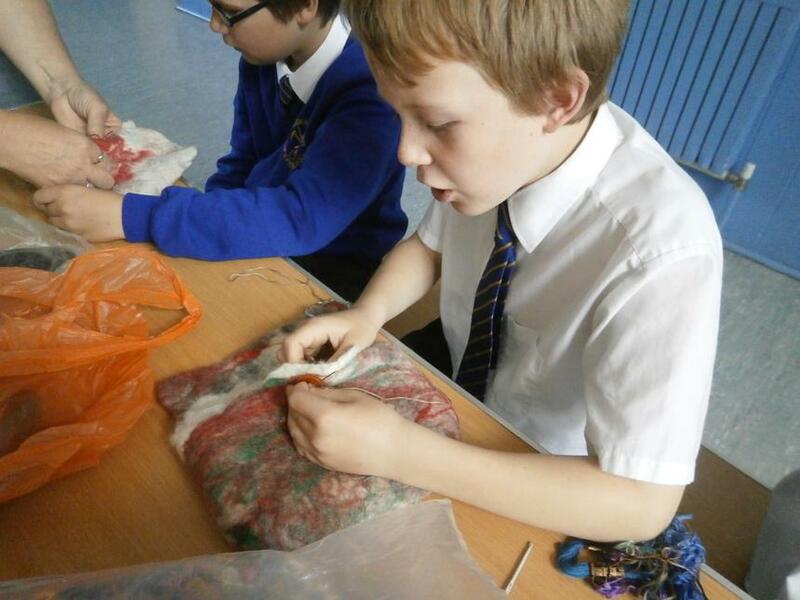 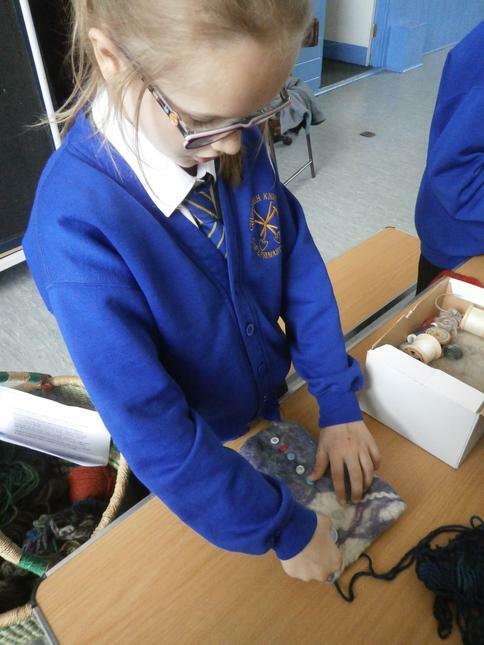 They will design and make their own felt bag using traditional equipment. 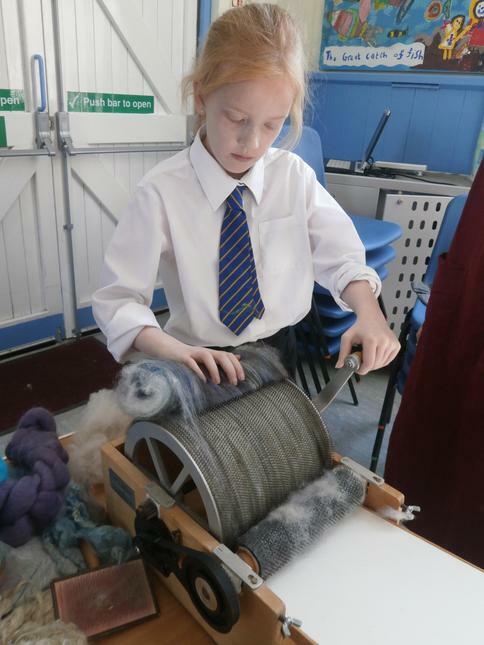 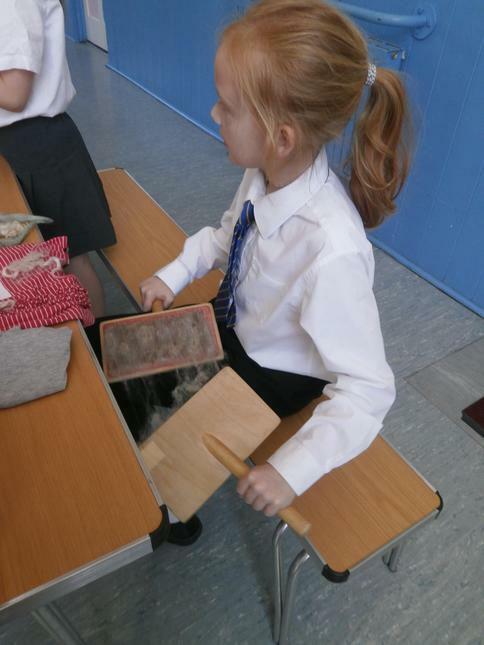 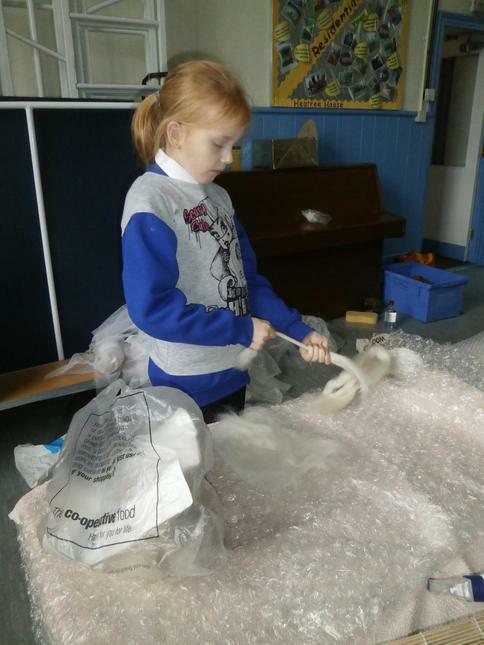 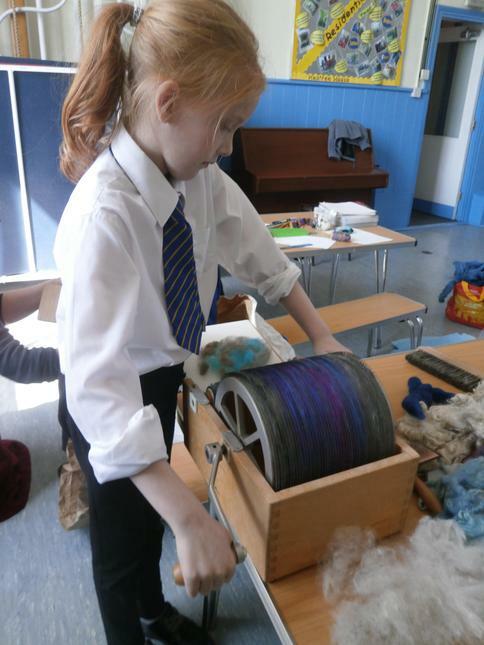 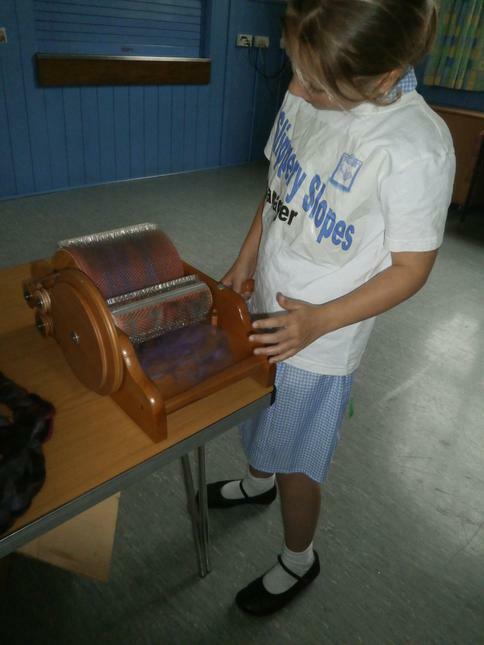 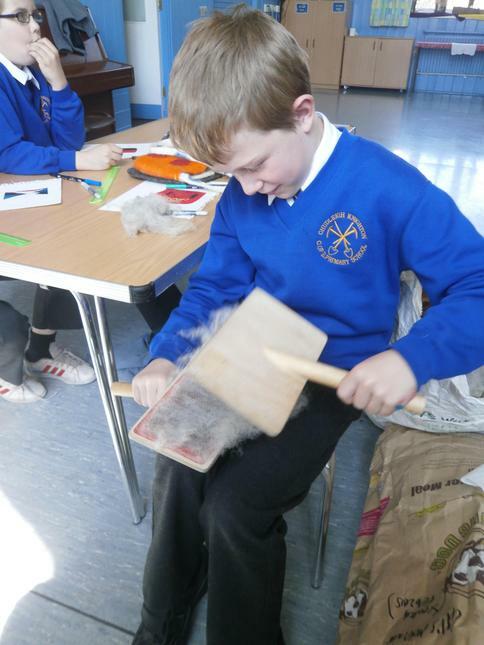 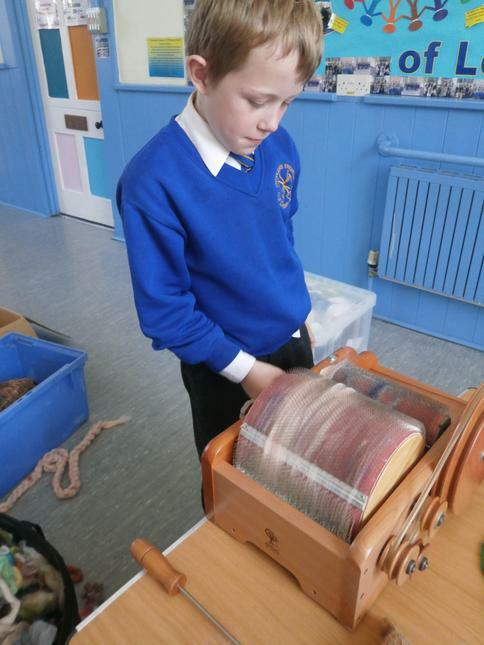 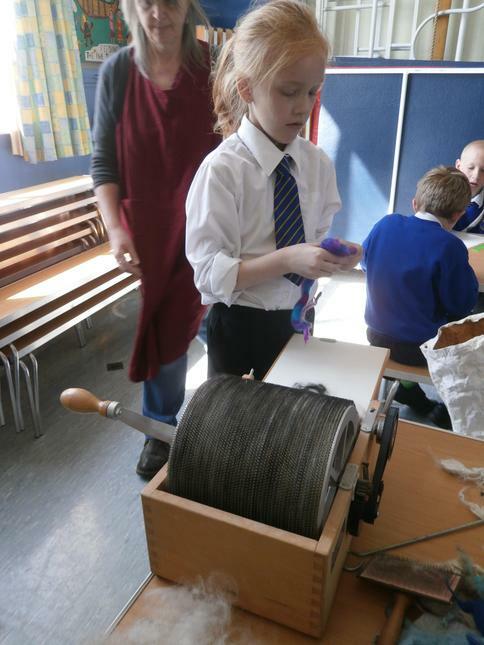 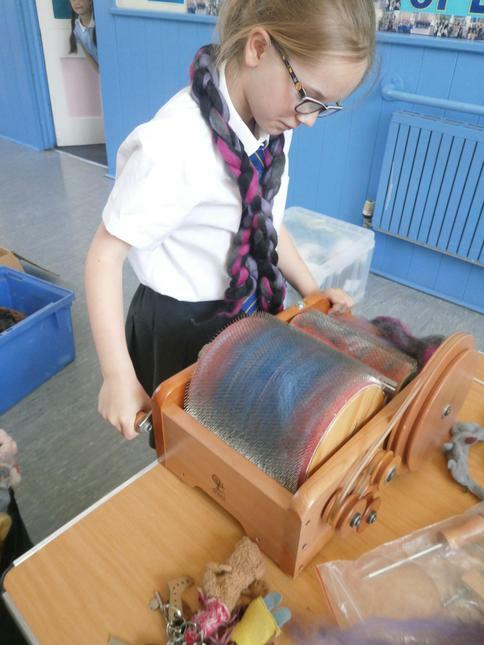 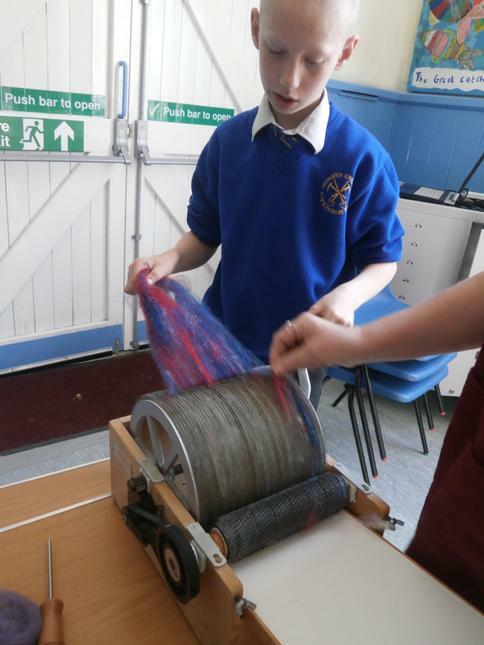 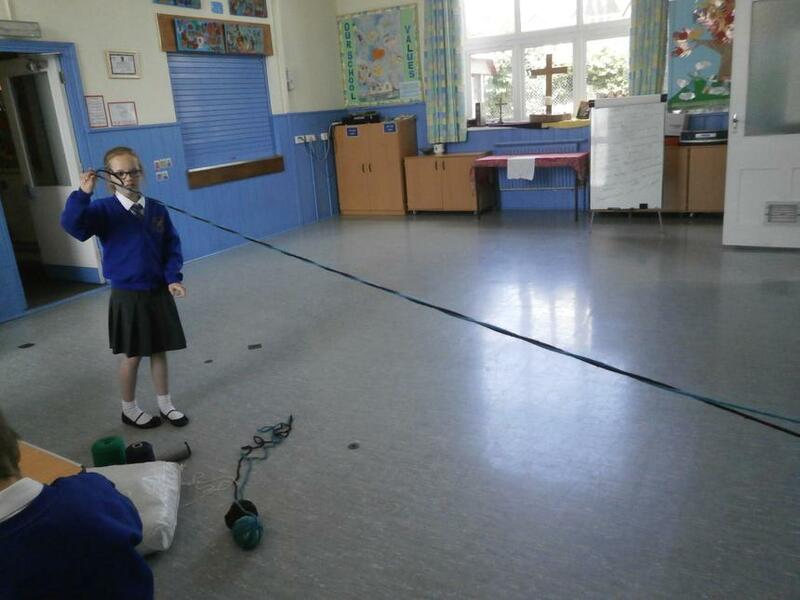 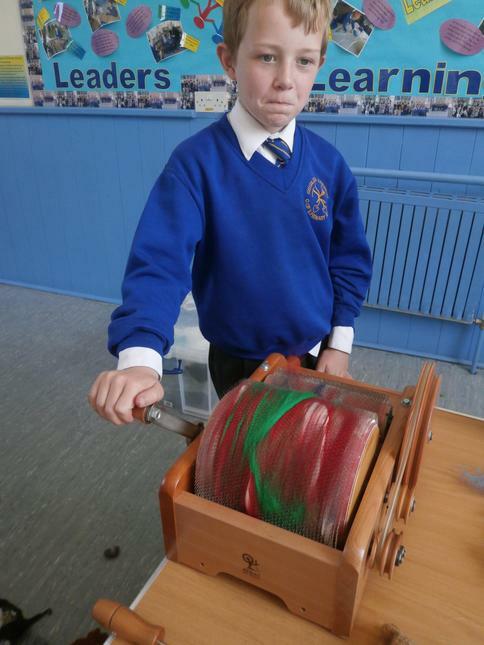 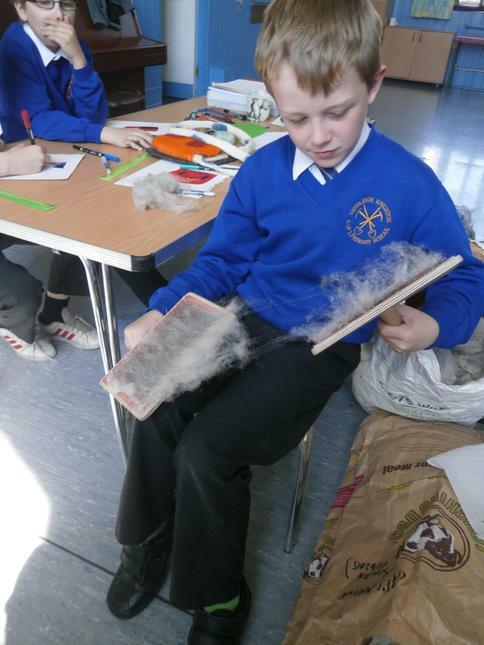 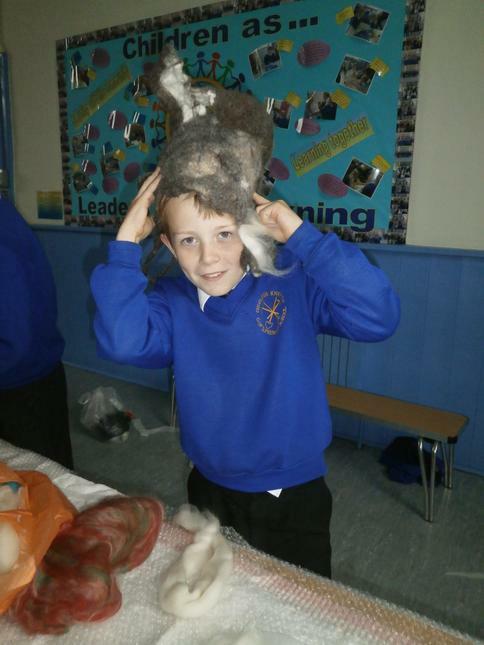 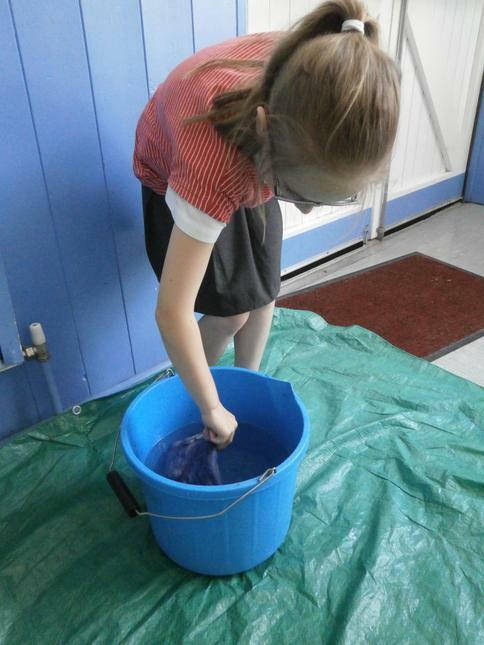 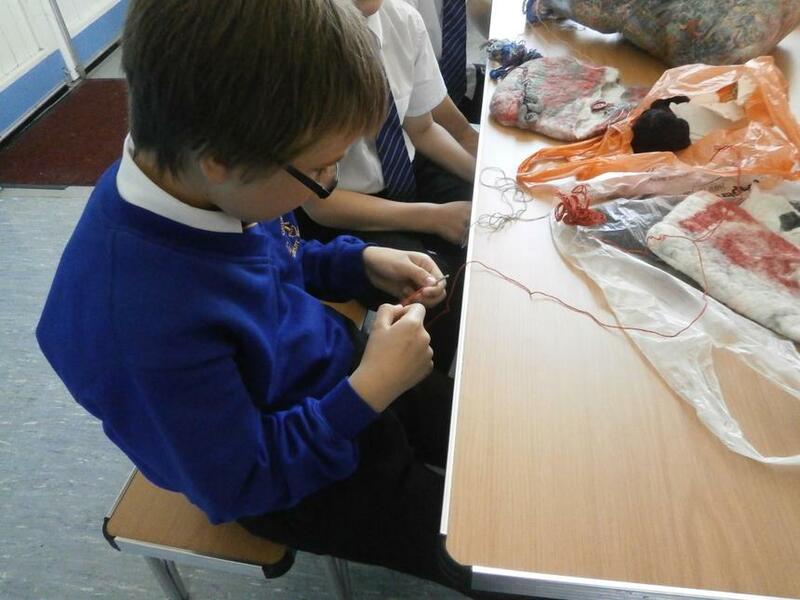 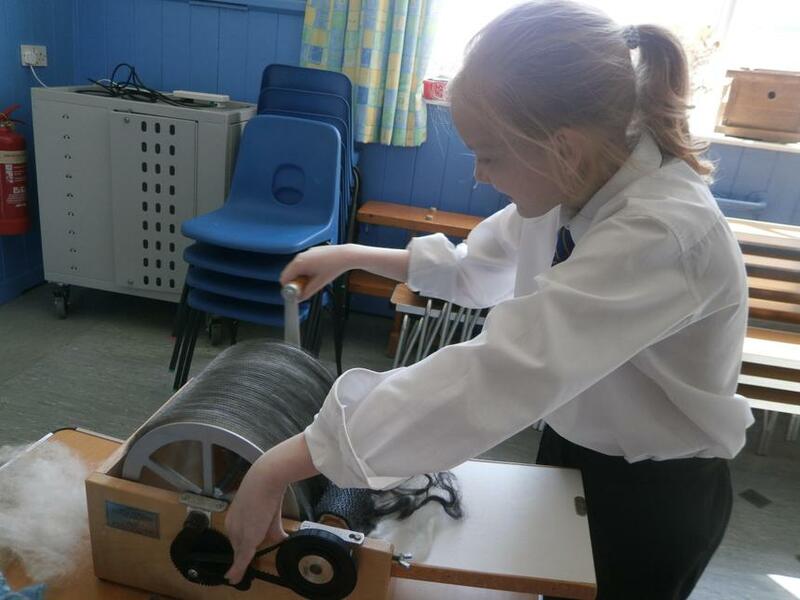 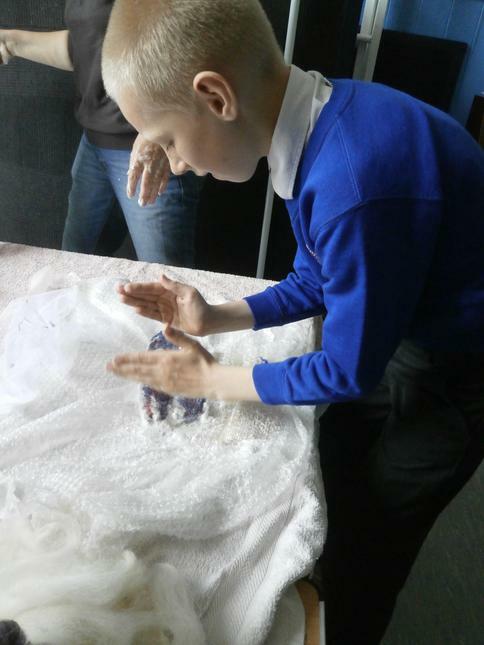 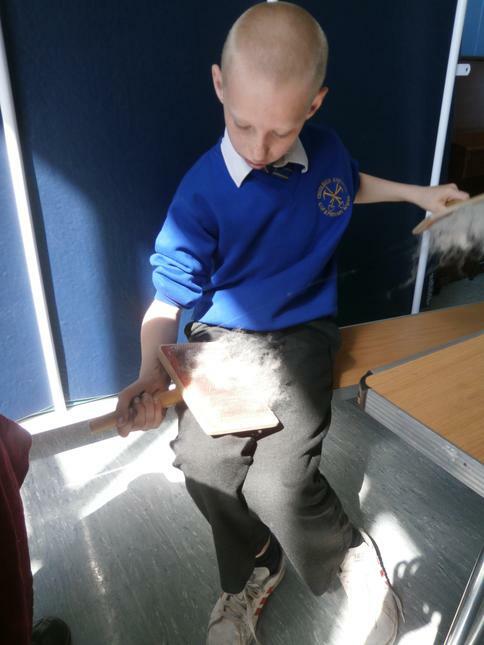 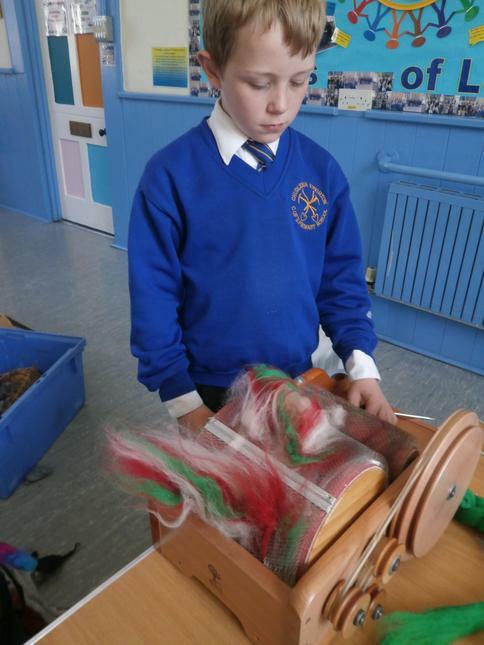 The first week the children were introduced to the different pieces of equipment and made a start on their fibres. 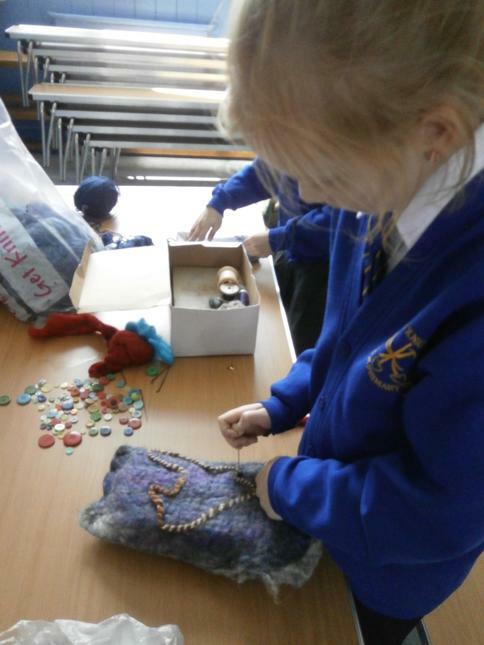 They were able to create designs for their bags which will hopefully be finished in a few weeks time. 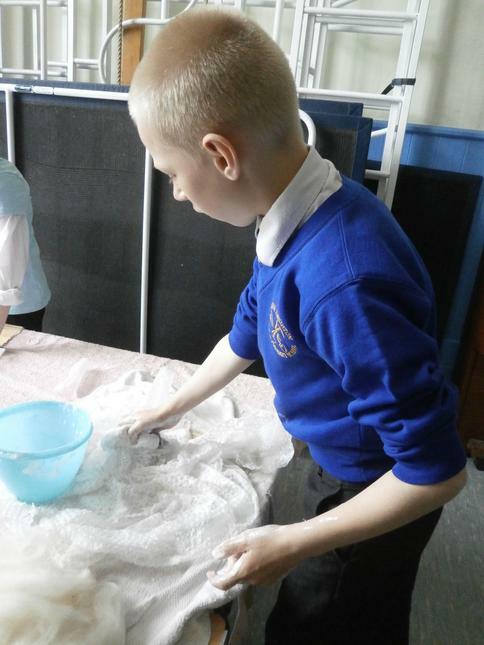 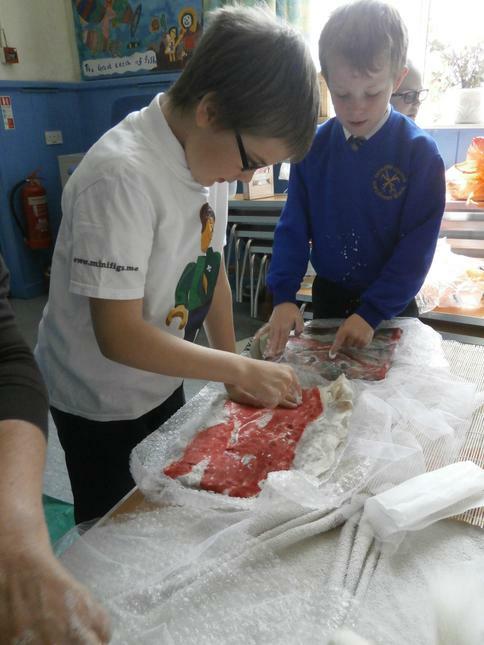 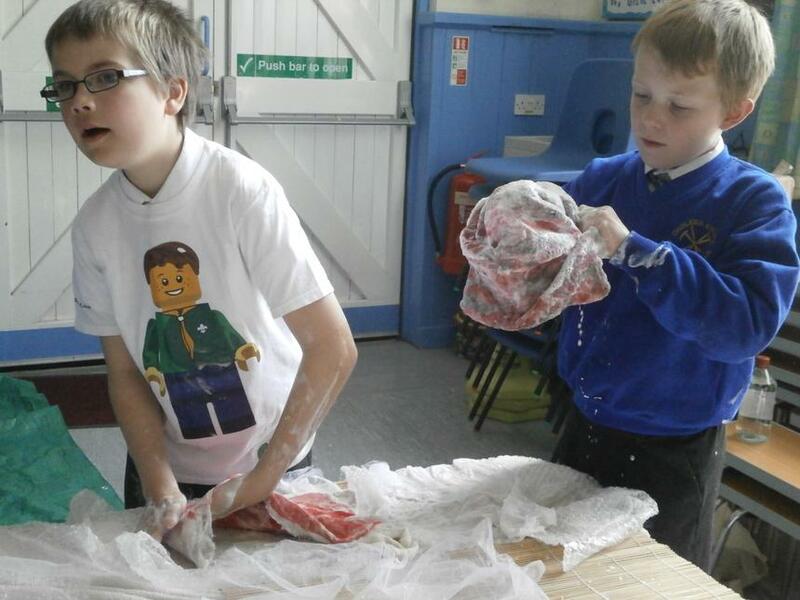 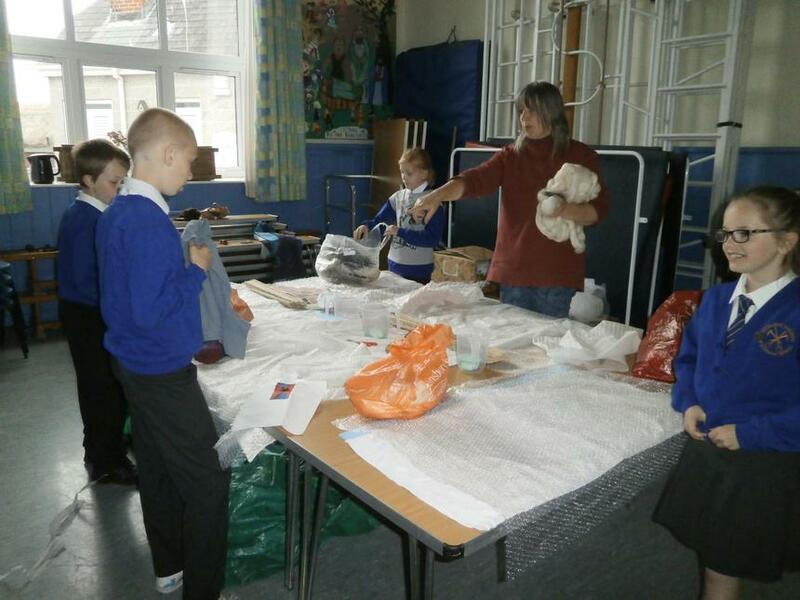 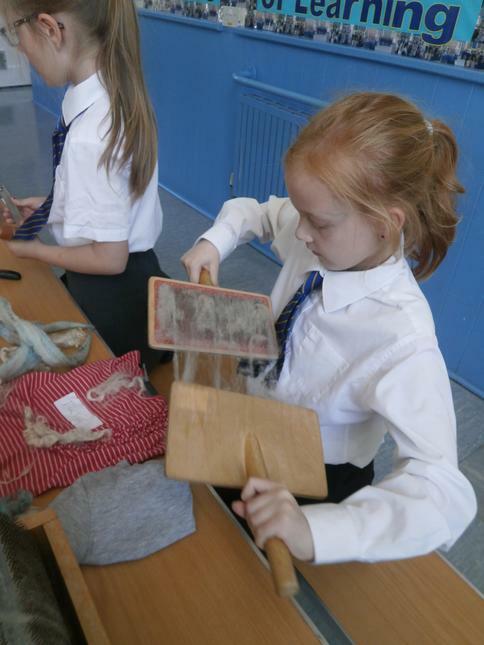 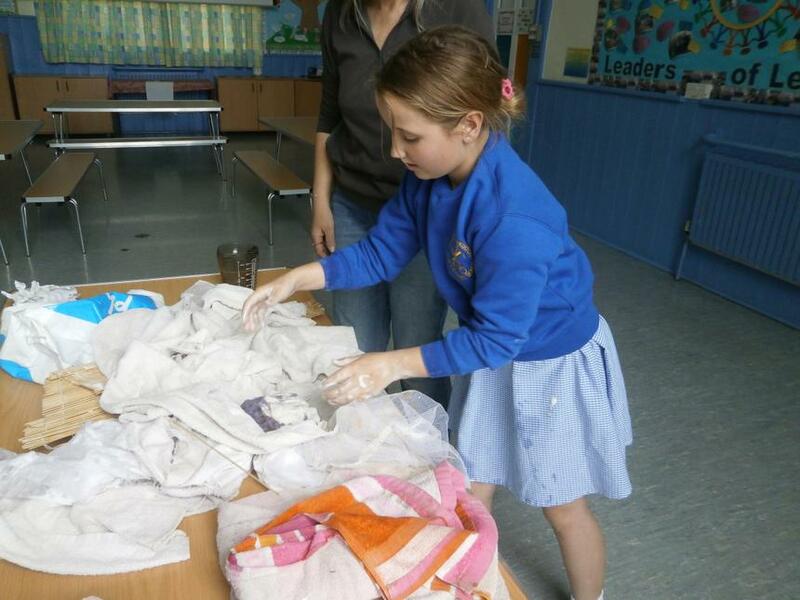 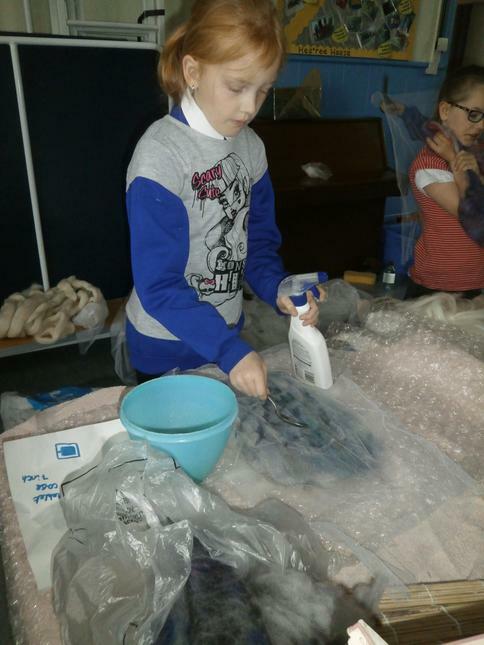 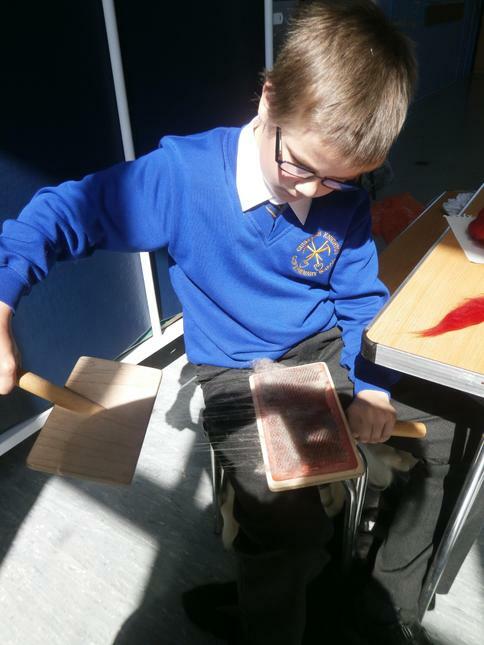 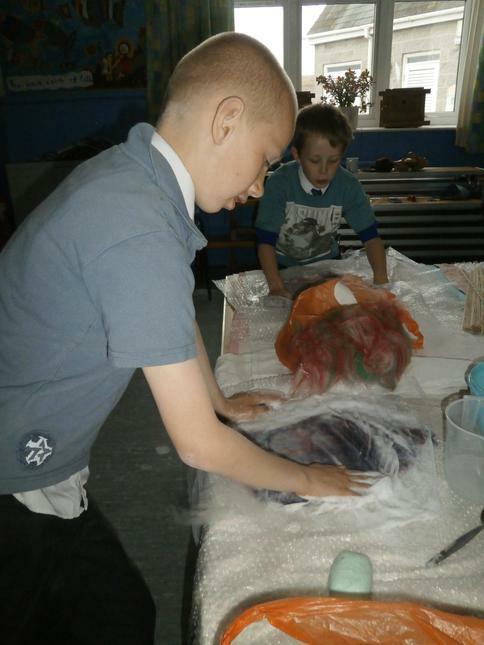 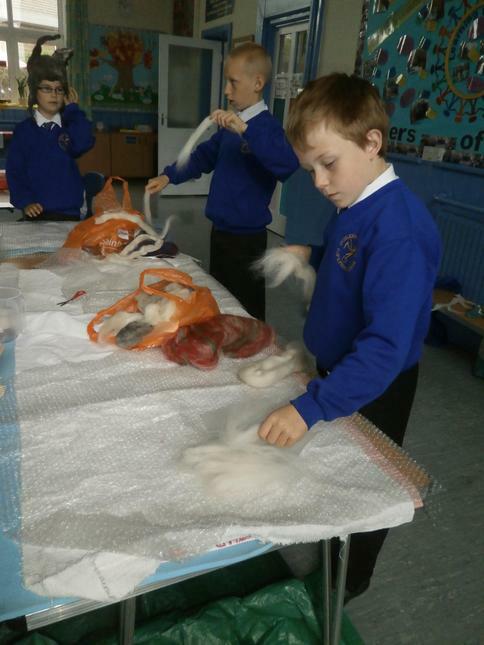 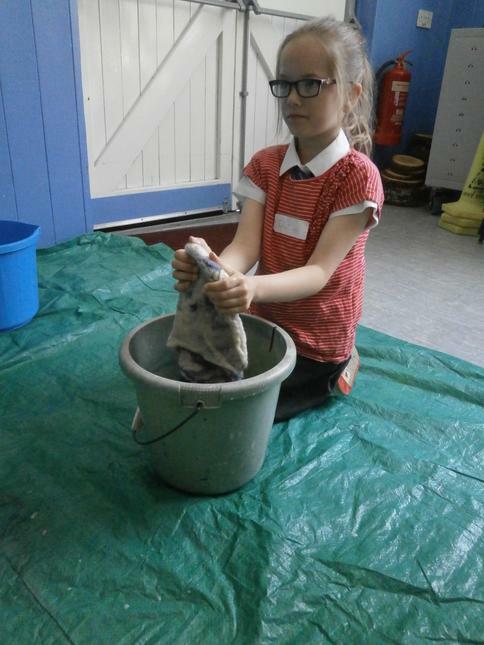 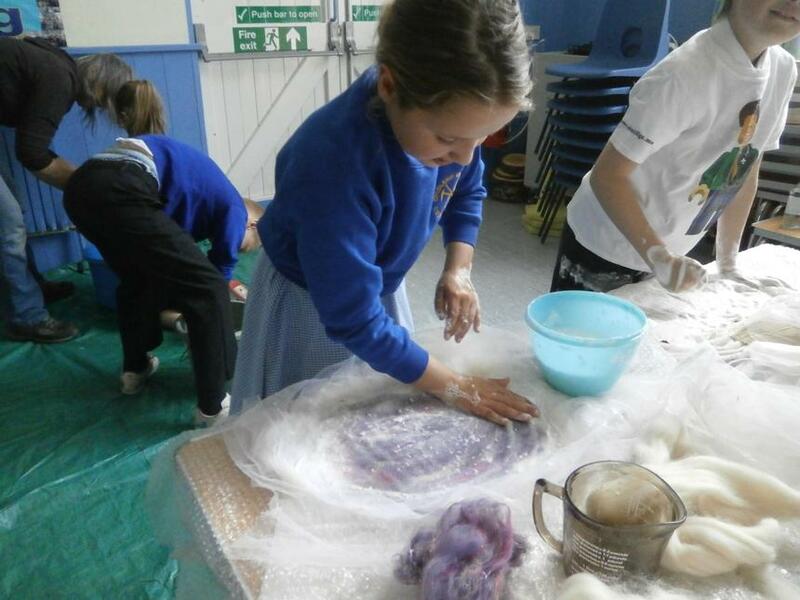 The children found out that felt making is a messy business in Week 2 of the Felting Apprenticeship as they got covered in soapy suds.